I am enjoying rereading The Go-Giver: A Little Story about a Powerful Business Idea. It was written in 2008 by Bob Burg and John D. Mann. It emphasizes the power of giving and being of value to your customer base. Chances are, whatever industry you are in, your company deals with sales representatives that present and sell products you may need to conduct business. Describe your ideal sales representative. 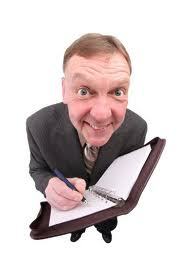 What qualities and traits do you like in a sales rep, what do you dislike?